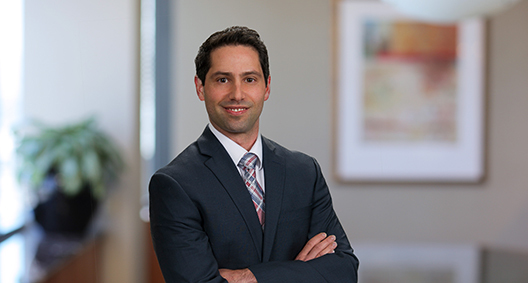 Teddy Weiss’s practice focuses on environmental litigation and transactional and regulatory matters. He also helps clients manage environmental due diligence, site remediation and risks associated with the purchase and sale of environmentally contaminated property. Teddy has an extensive background in the environmental industry. As a former environmental insurance underwriter, he worked alongside attorneys to draft environmental insurance contracts, support the resolution of claims and negotiate policy language. Teddy also has significant government and regulatory experience, having both clerked for the Environmental Protection Agency during law school and worked as an environmental consultant in the private sector. Represented a ranching company in a lawsuit involving open-pit mining and a Superfund site, including claims relating to water rights, common law tort claims and CERCLA. Involved issues related to acid mine drainage, statutes of limitation, continuing tort and restoration damages. Counseled a private land owner in a proceeding before a federal water master in connection with a water rights claims. Represented a real estate investment group in the assessment and purchase of environmentally contaminated commercial properties in Los Angeles. Represented an EPA contractor concerning the release of acid mine drainage from an abandoned Colorado mine and ensuing liability under CERCLA. Represented a major golf resort in litigation with respect to water diversion and real property torts, including nuisance, trespass and negligence. Represented a solar power company in a contractual dispute with its general contractor concerning the transfer of ownership and the right to past and future payments for power produced by the project. Represented various manufacturing clients in Proposition 65 defense actions alleging product labeling violations. Defended an administrative action by the Department of Toxic Substances Control against a construction contractor alleging the unlawful transportation of hazardous waste. Assisted counsel for an electric generation facility in connection with an environmental enforcement action by the California Coastal Commission. Advised clients concerning California Proposition 65 compliance and enforcement. Represented a car dealership in its purchase and redevelopment of a brownfield property. Negotiated and placed a pollution legal liability insurance policy on property slated for redevelopment.